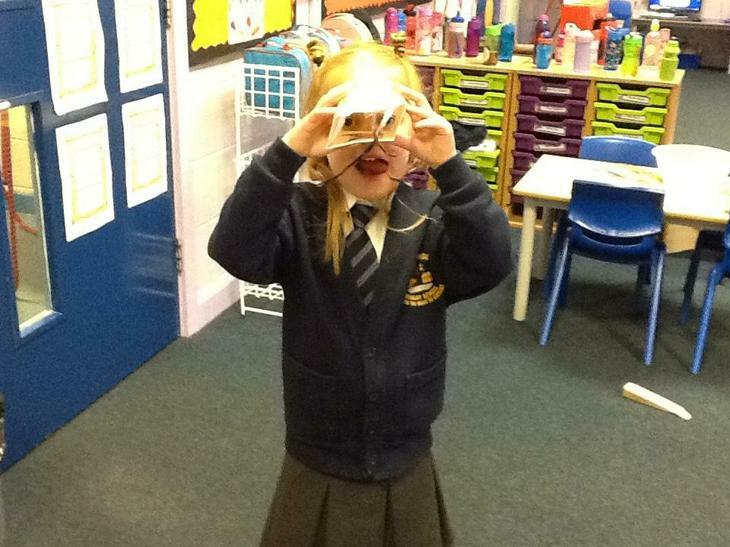 In Class 2 we are excited to learn and find out about new things! 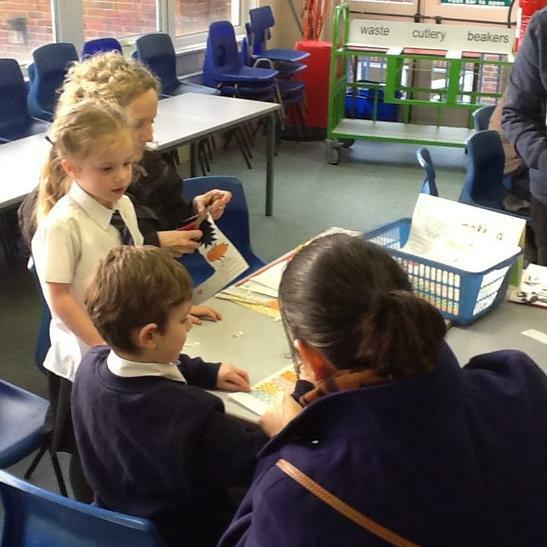 We have lots of interesting and exciting topics throughout the year to learn about. 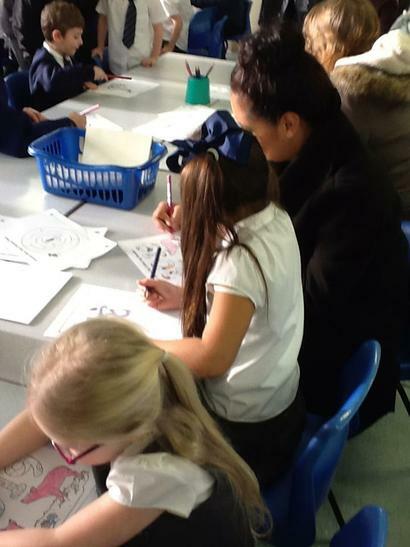 Miss Jones, Mrs Littlewood, Miss Parfitt and Miss Windsor look after us and teach us new things each day. 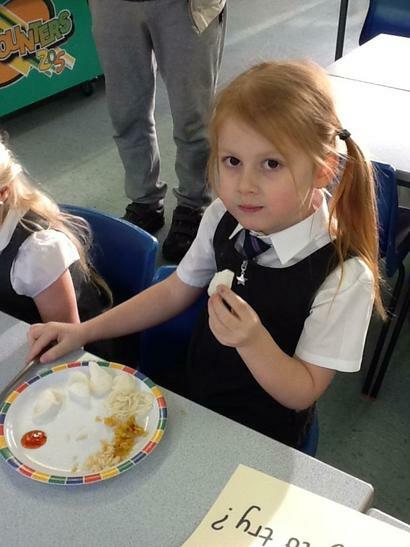 Throughout the week we try our best with our learning and behaviour and get class dojo points when we do well. 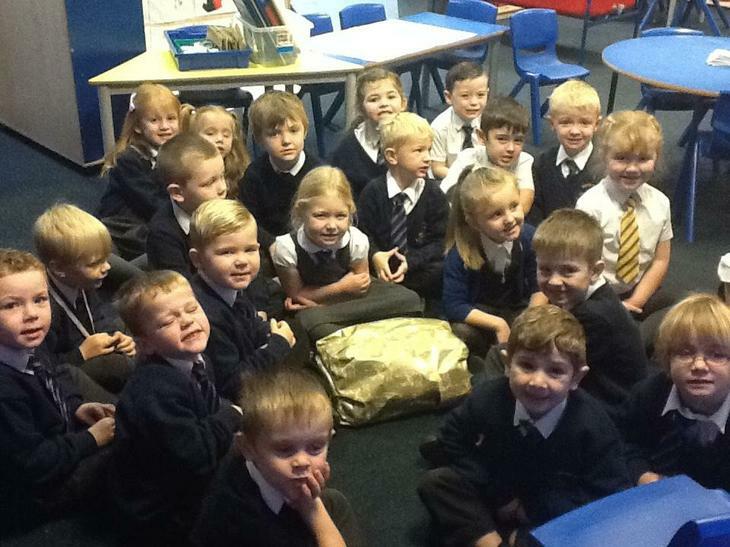 At the end of the week the two children with the most dojo points get a prize in Miss Jones’s special prize box! 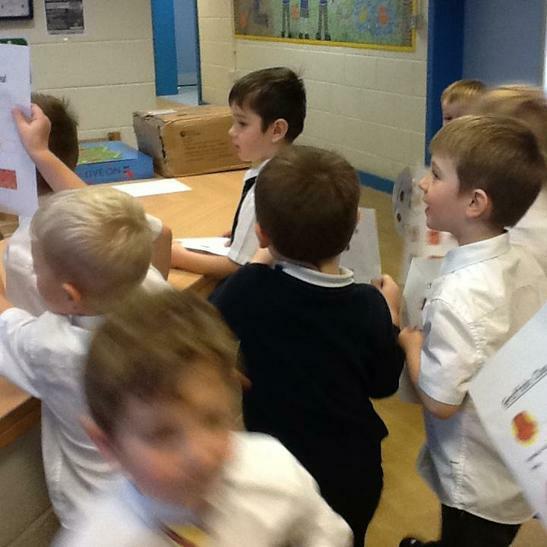 Our PE days are Tuesdays and Wednesdays so please ensure that children have their full PE kit on these days. 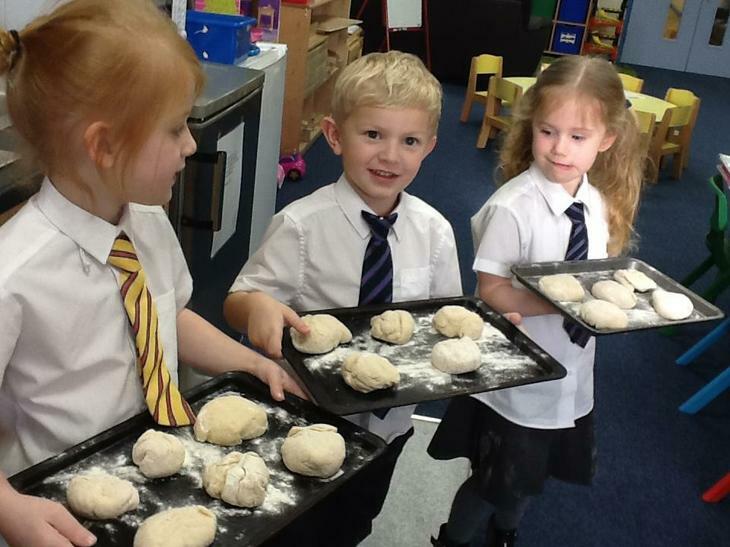 This week the children have been learning about the journey of bread linked to our story ‘The Little Red Hen’. 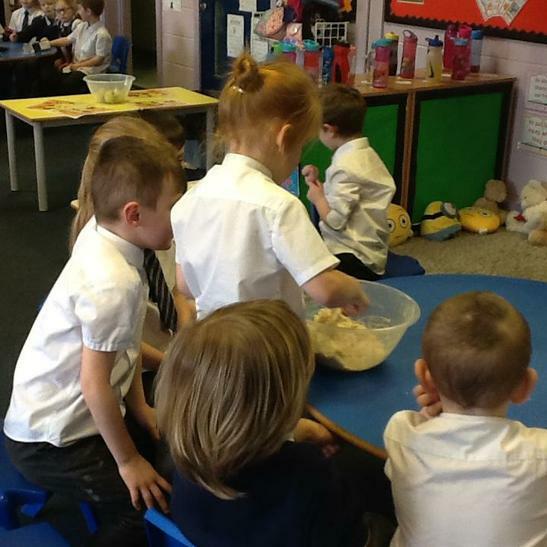 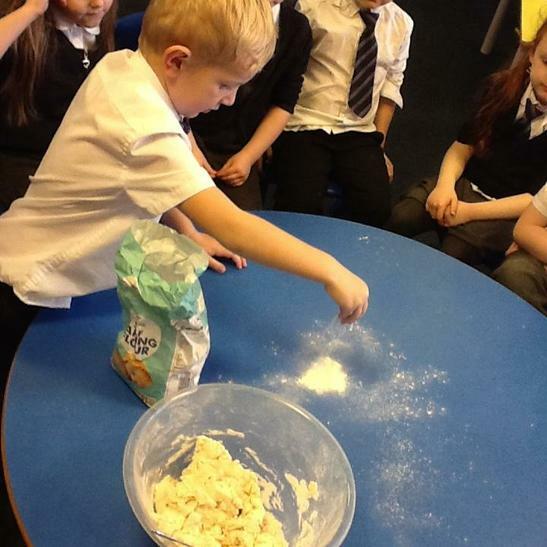 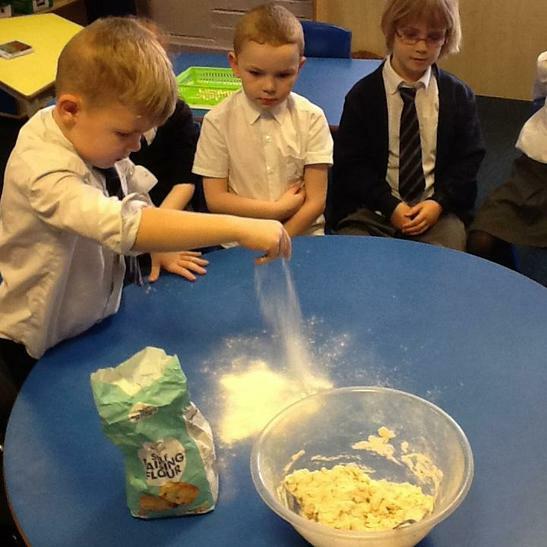 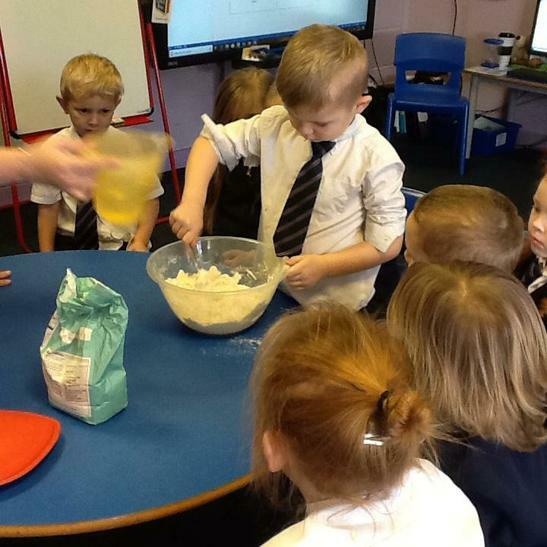 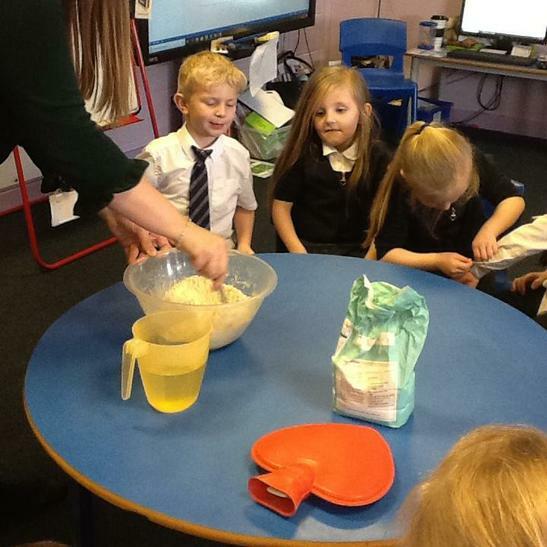 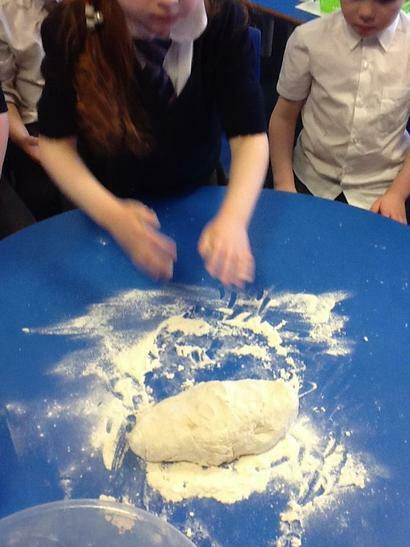 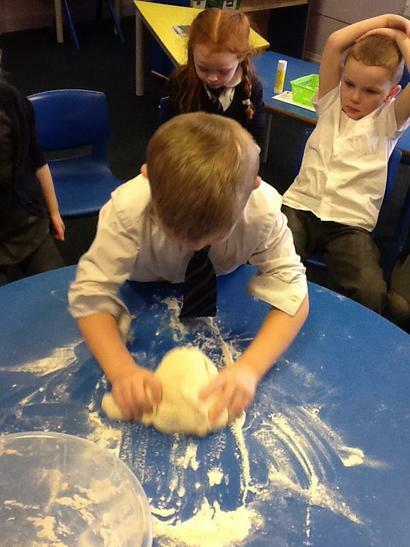 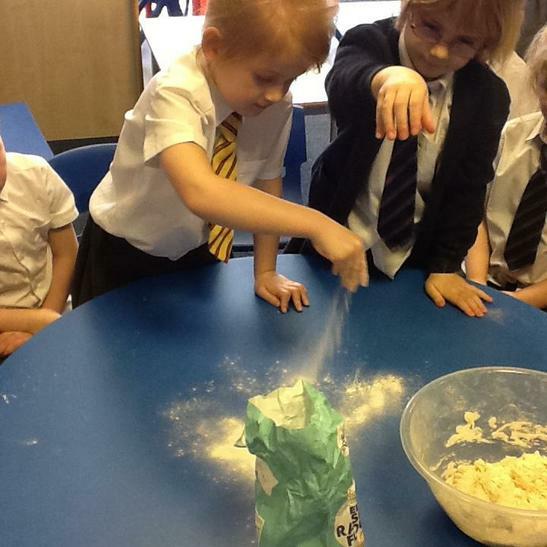 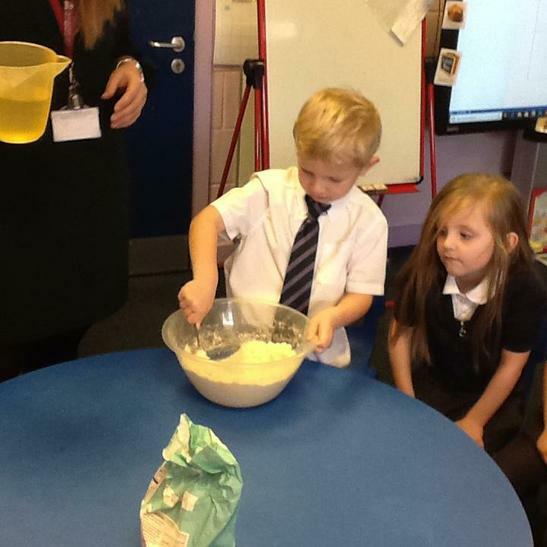 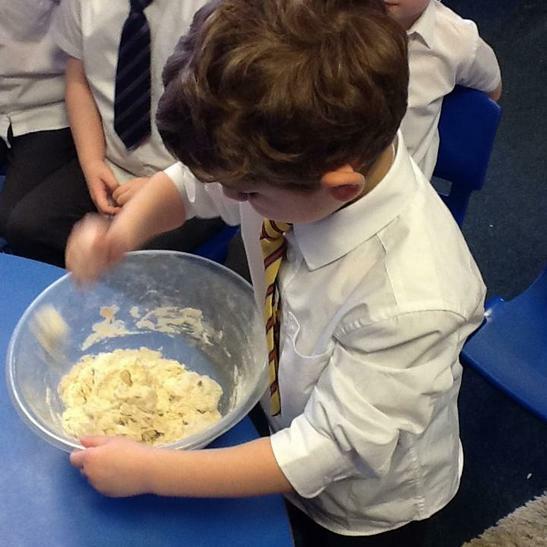 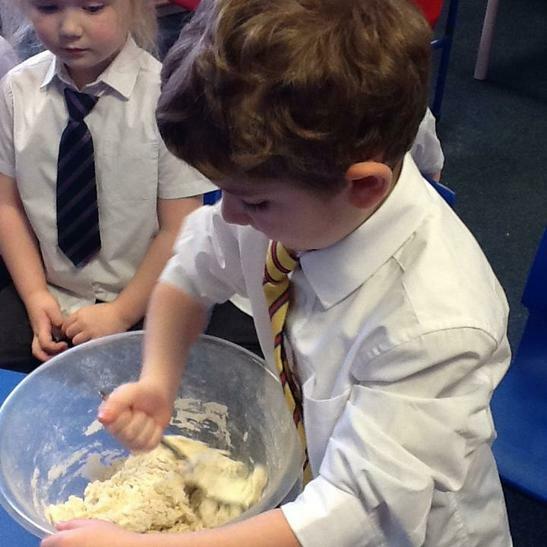 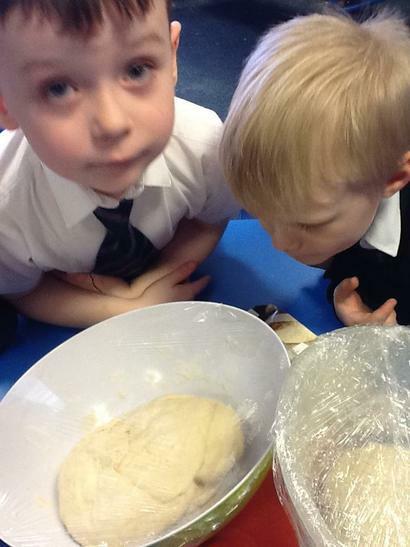 On Tuesday afternoon the children found out what ingredients go into bread. 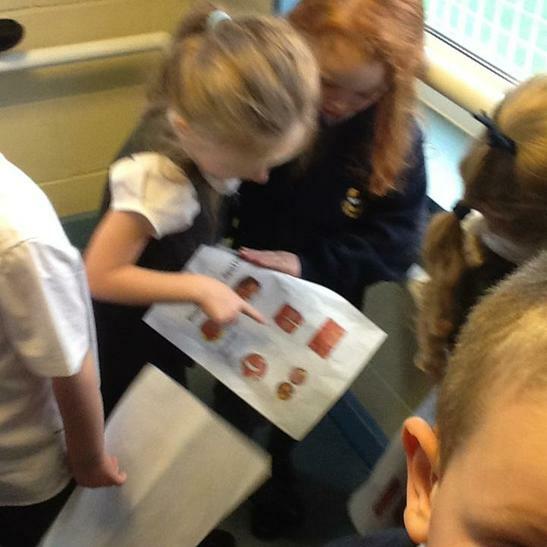 They wrote lists of ingredients we needed to buy before we could make any. 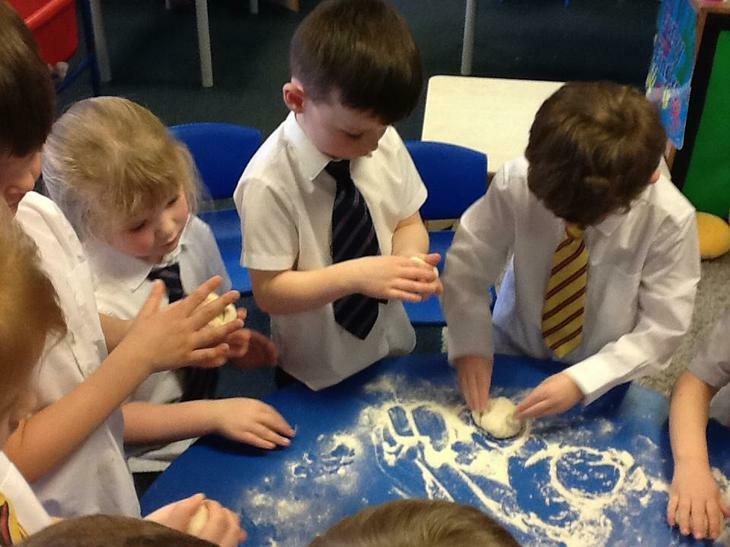 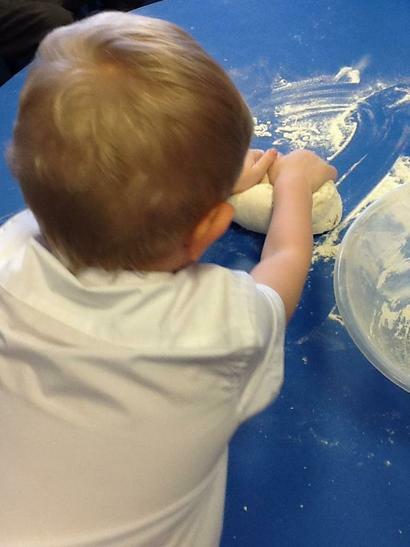 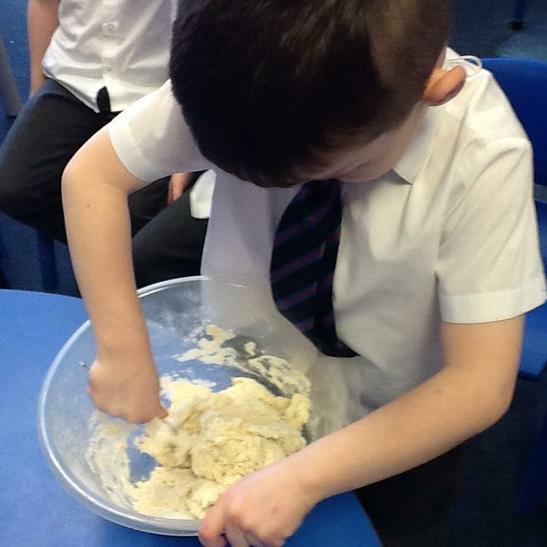 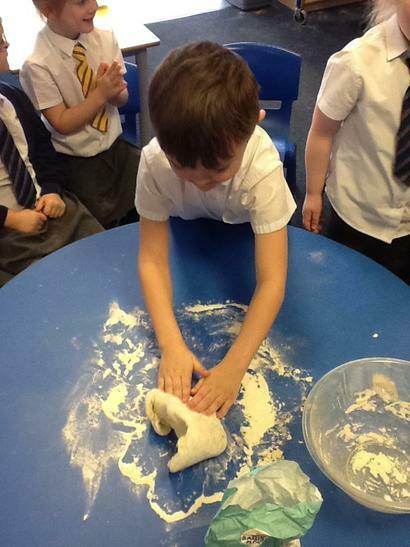 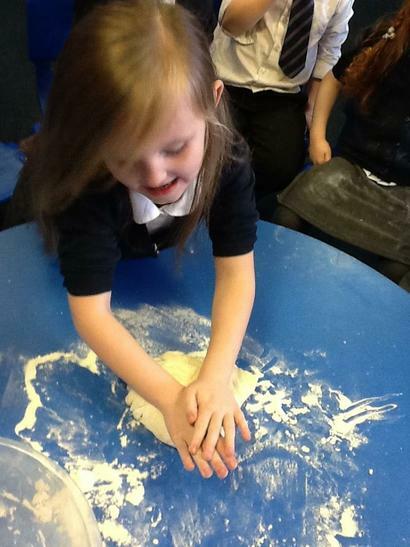 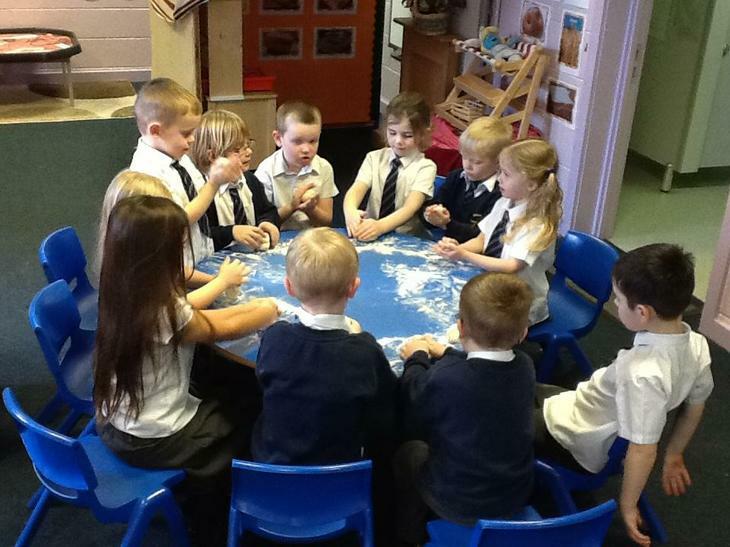 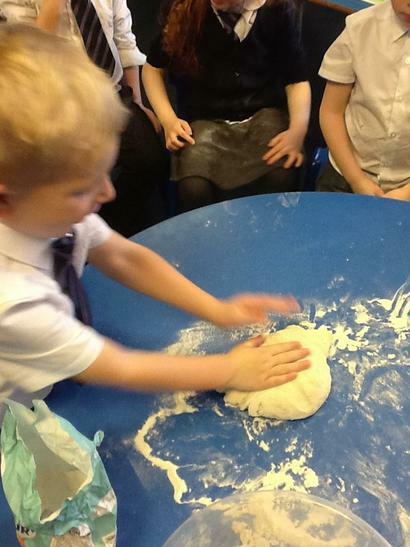 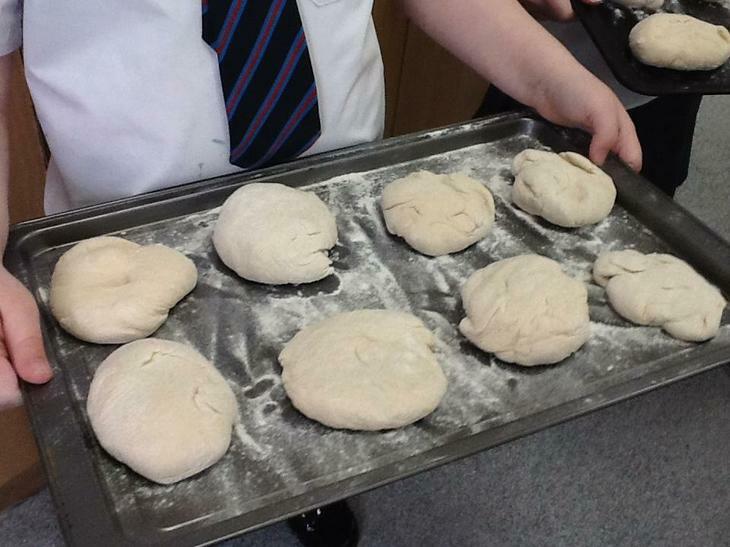 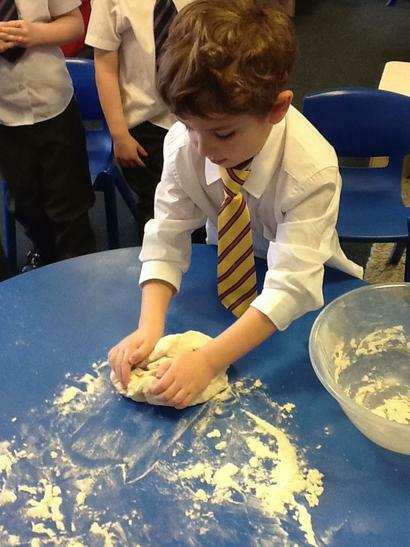 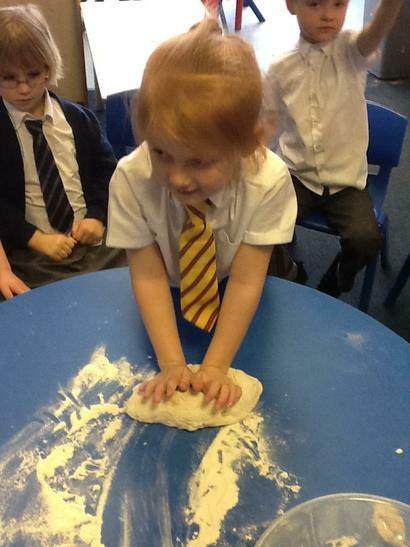 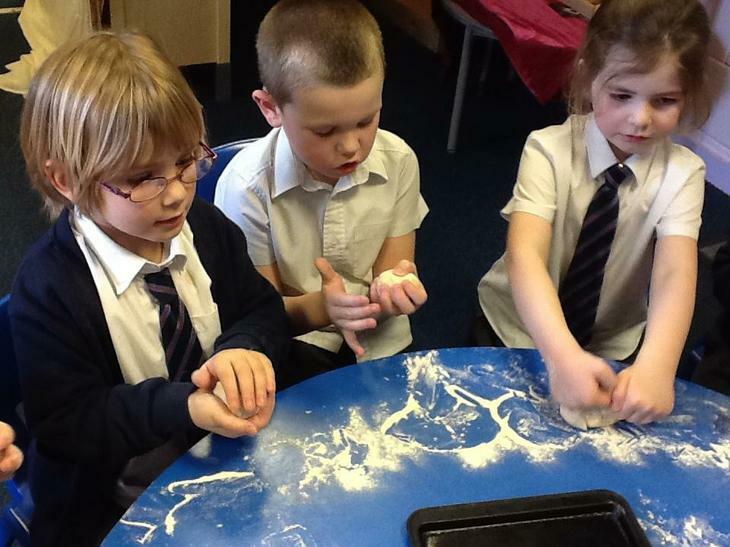 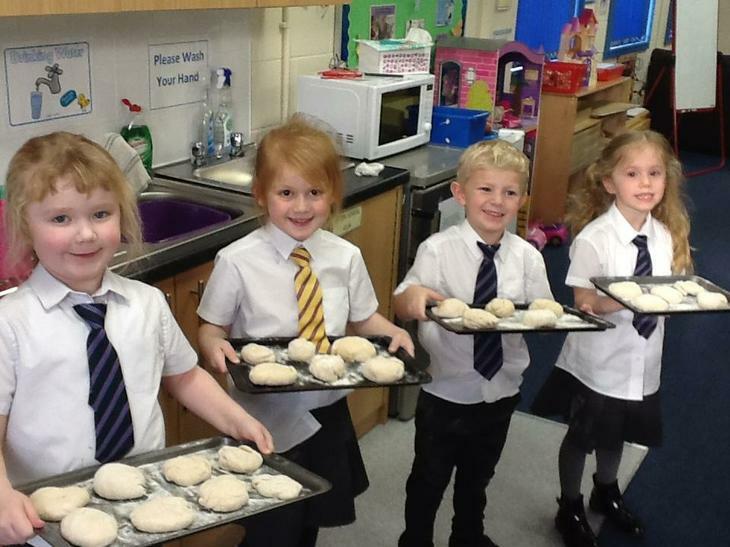 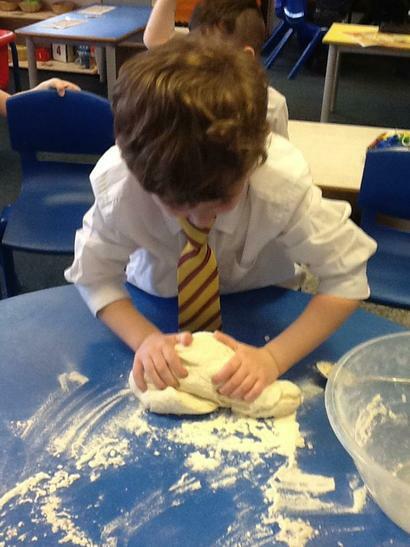 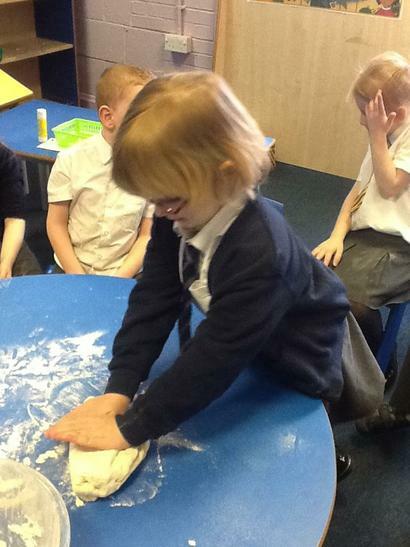 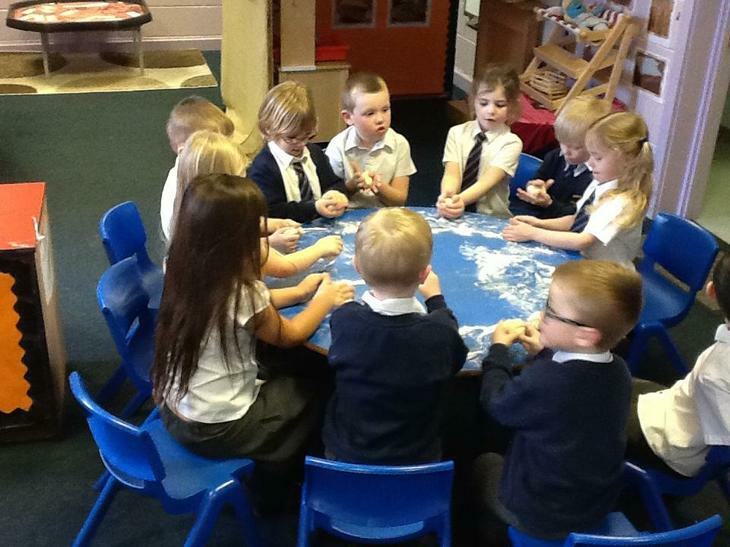 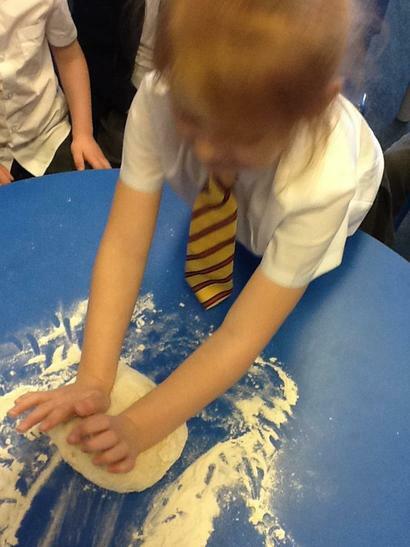 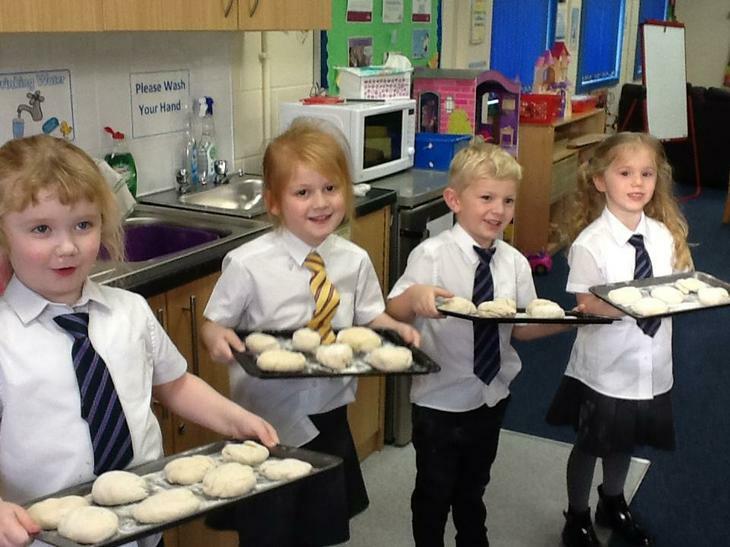 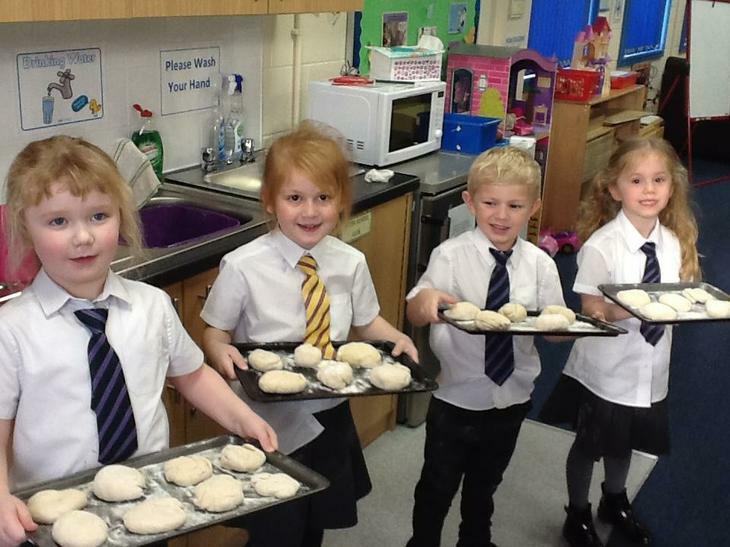 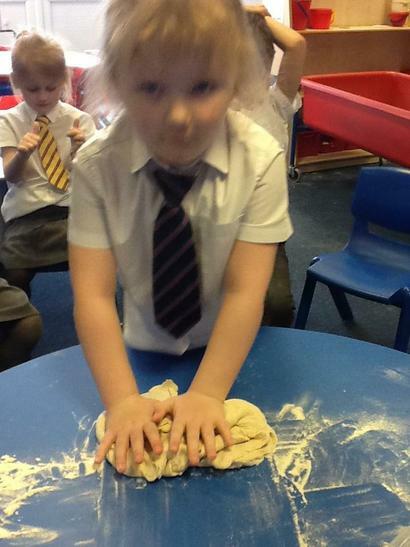 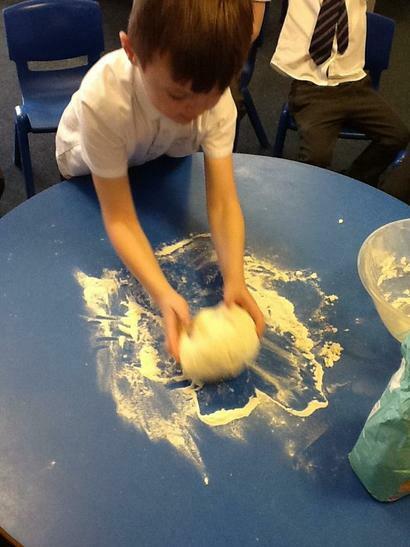 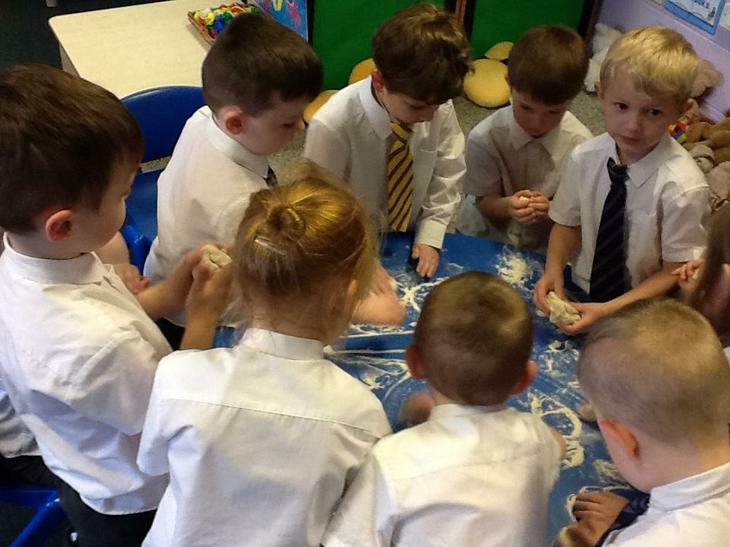 On Wednesday afternoon the children then had a go at making their own bread rolls. 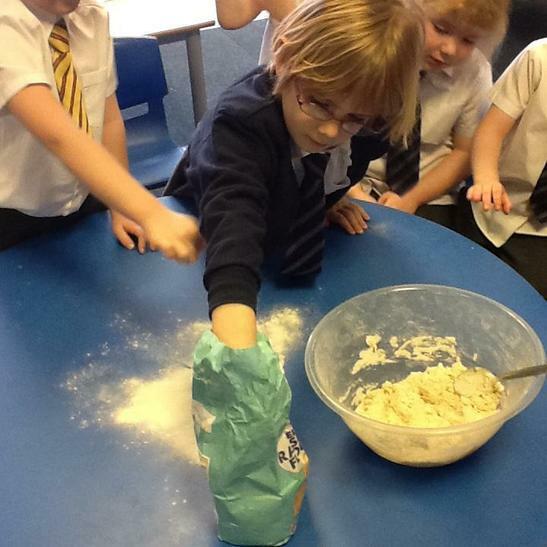 They mixed the ingredients together and kneaded the bread. 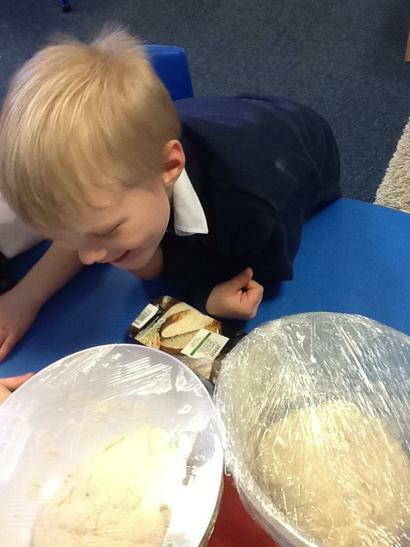 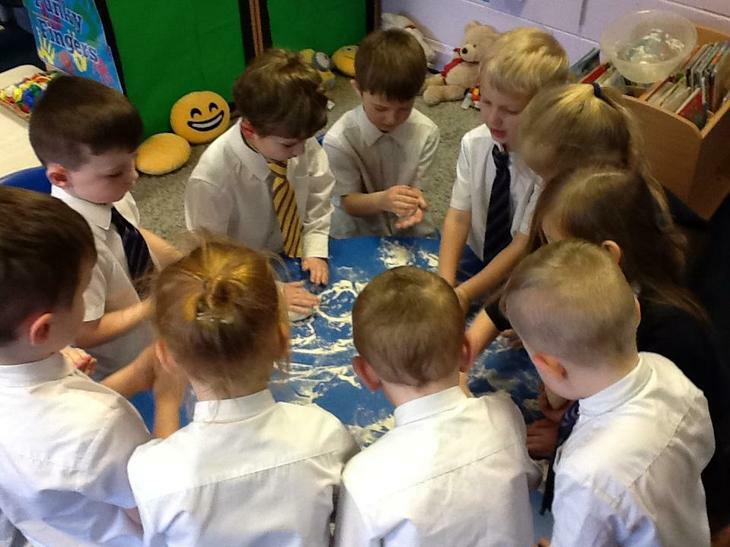 They then left the bread in a hot area of the classroom and were excited to see it rising. 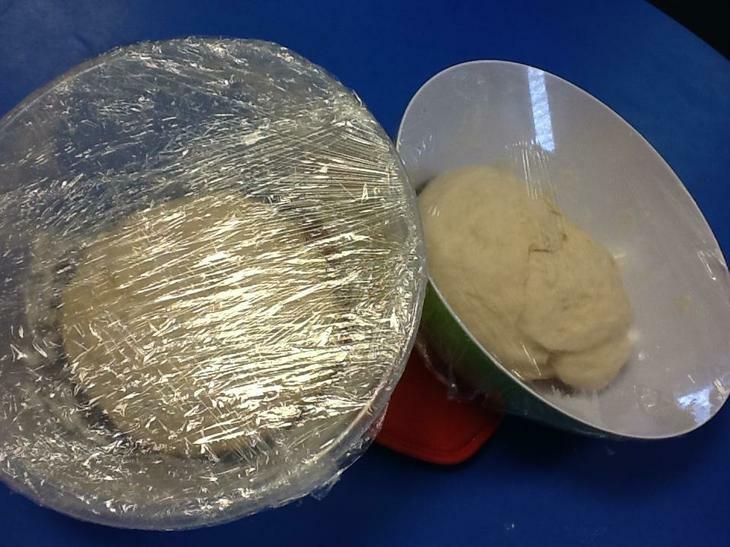 After thirty minutes the dough was ready to roll into shape and put in the oven. 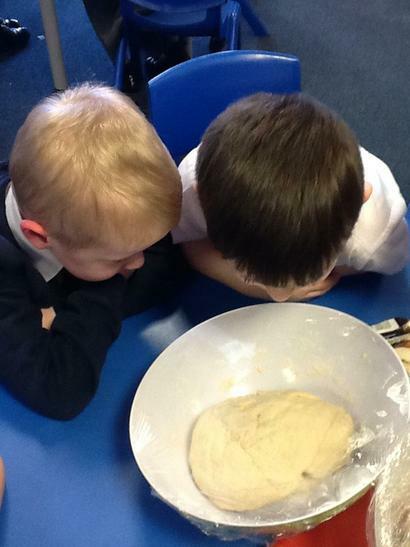 The children waited patiently and eventually it was ready. 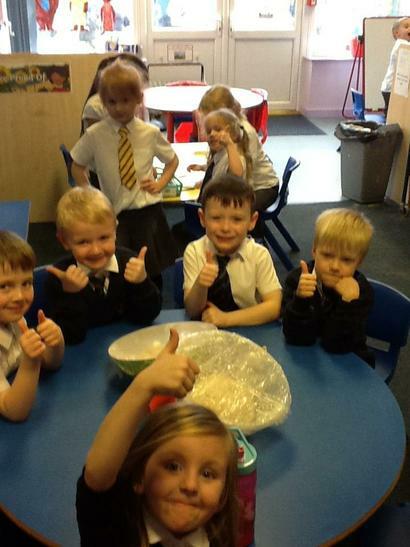 All the children worked well in their teams and they all gave their bread a thumbs up in the taste test! 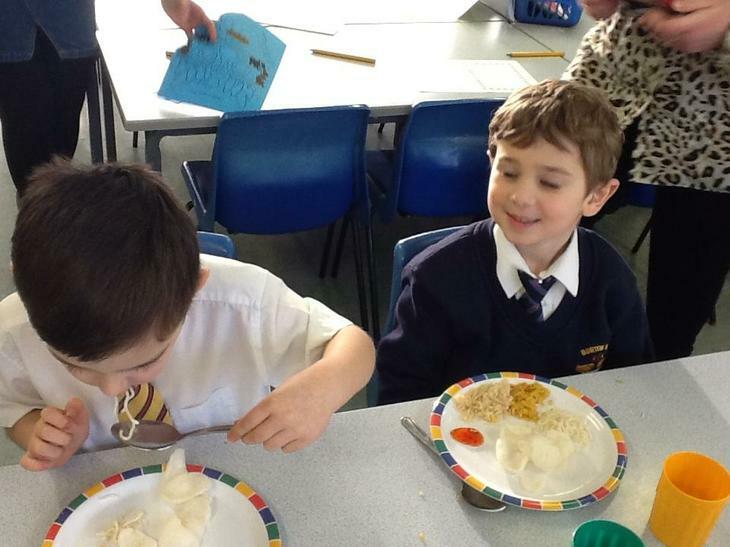 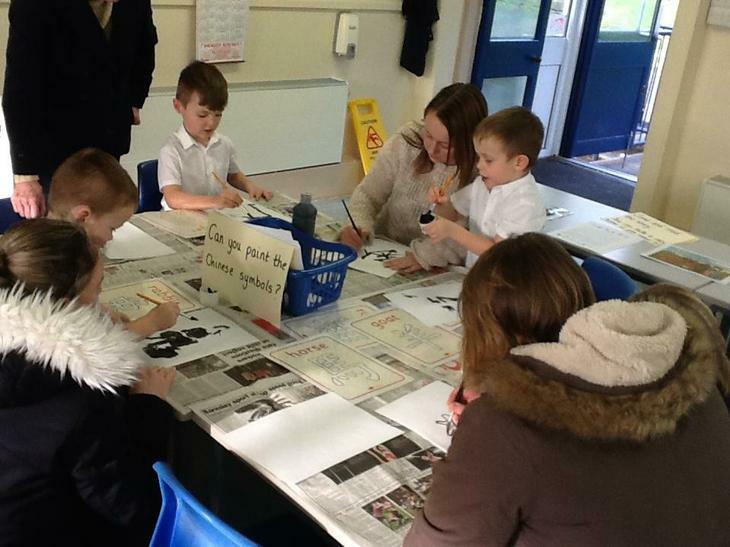 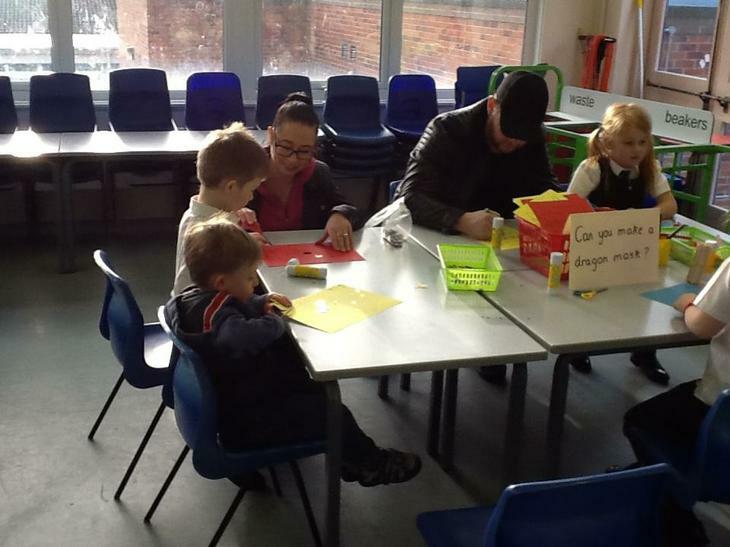 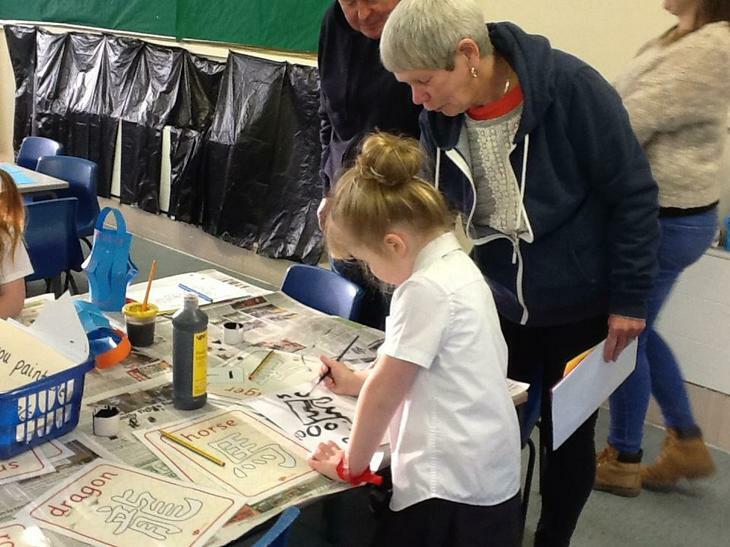 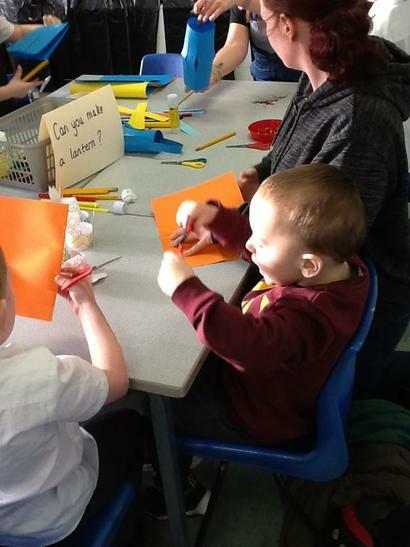 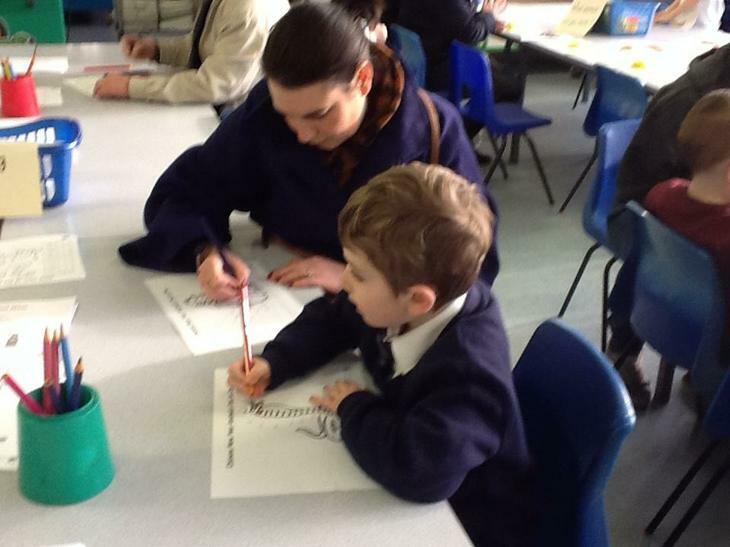 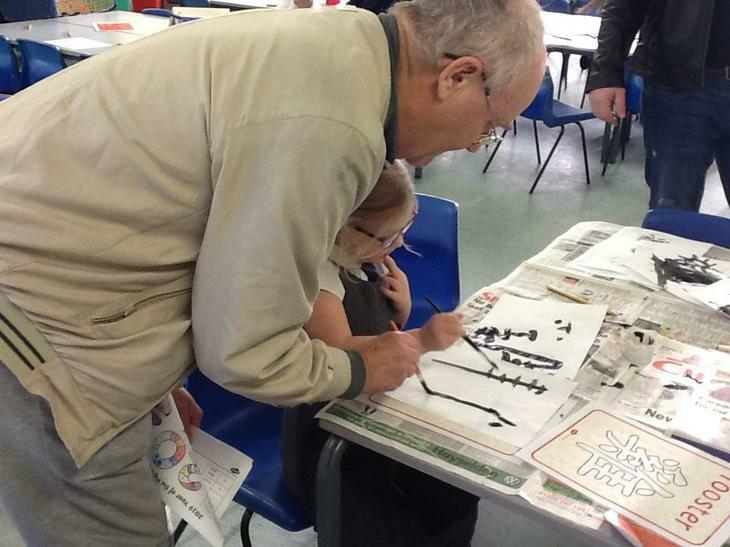 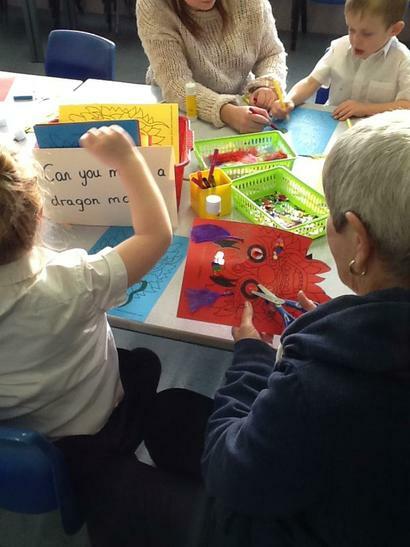 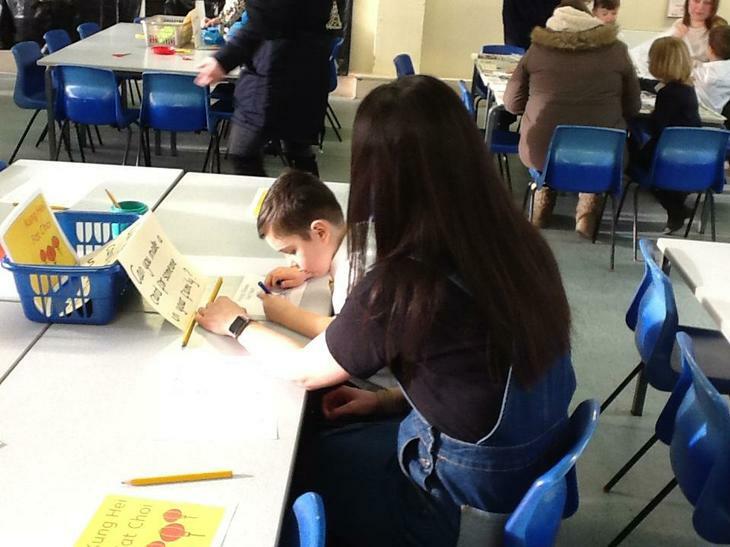 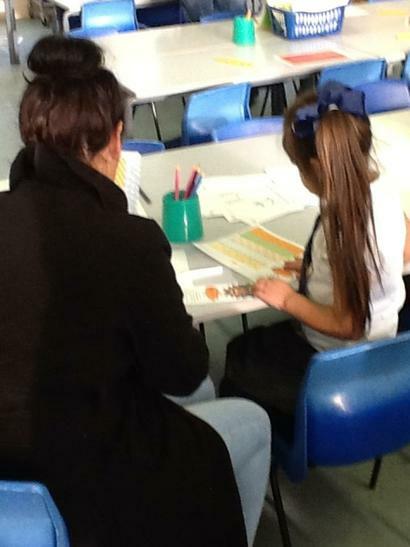 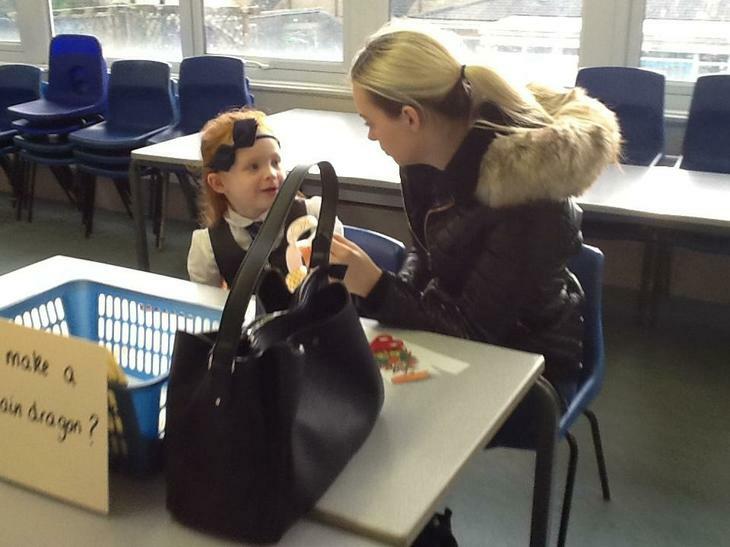 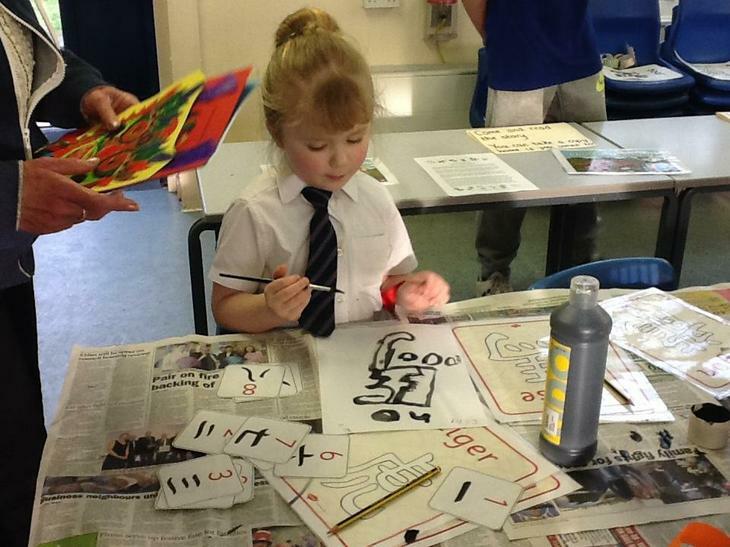 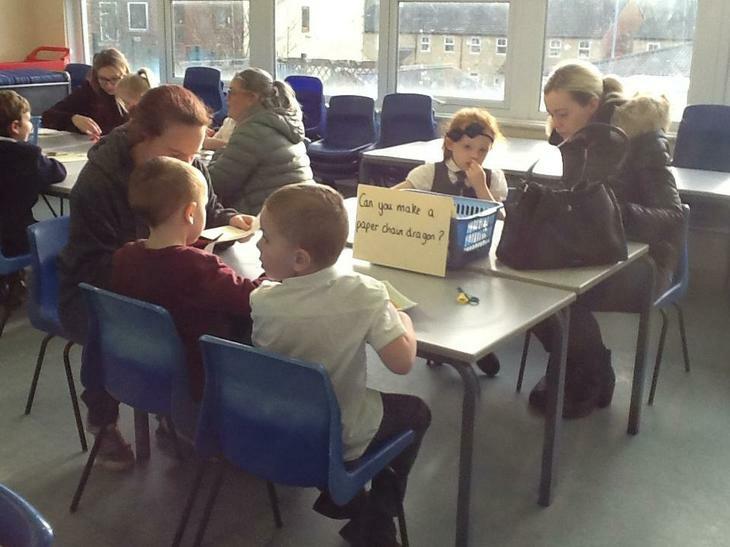 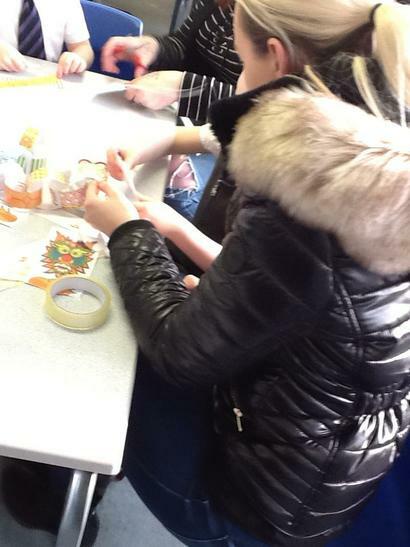 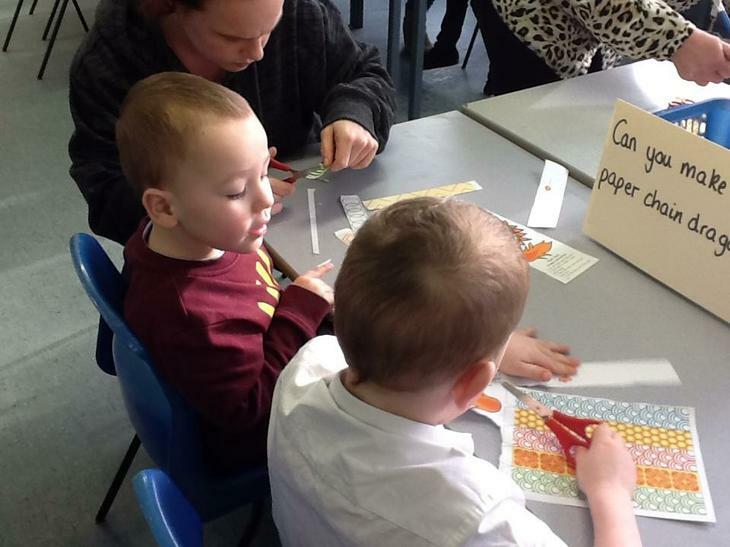 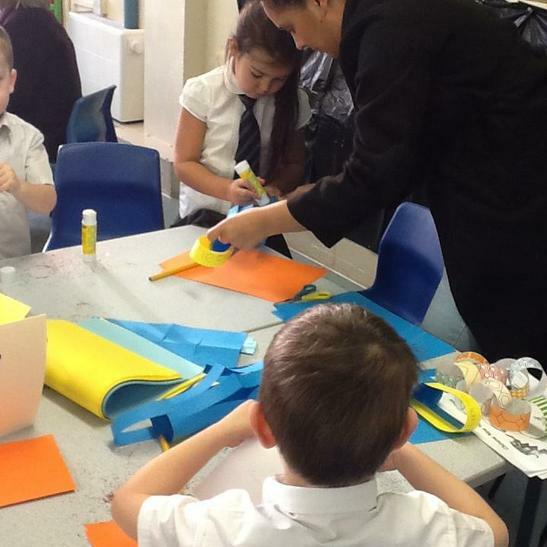 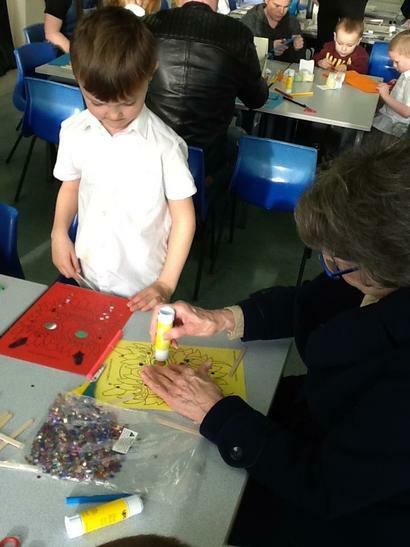 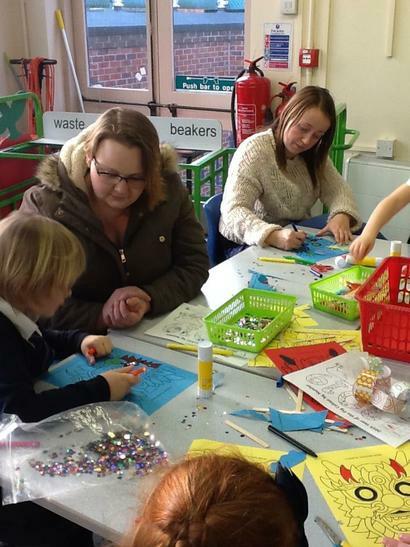 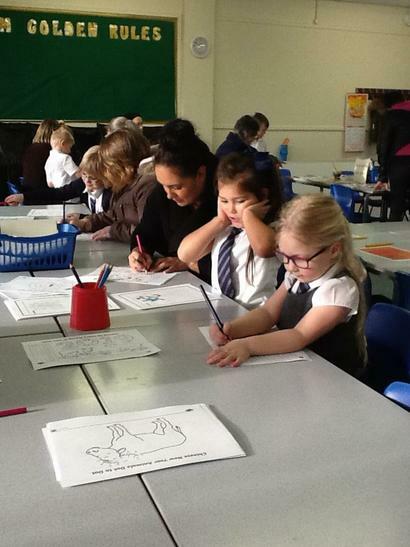 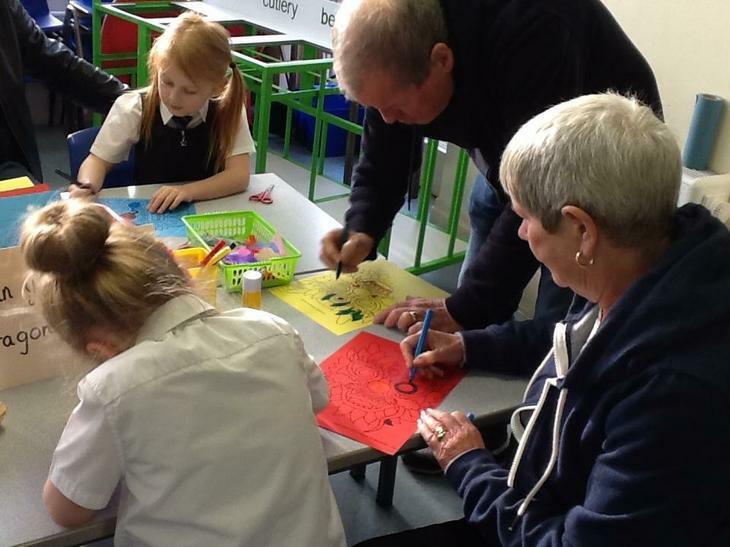 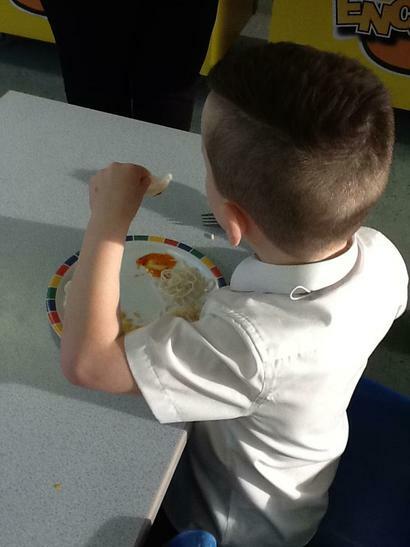 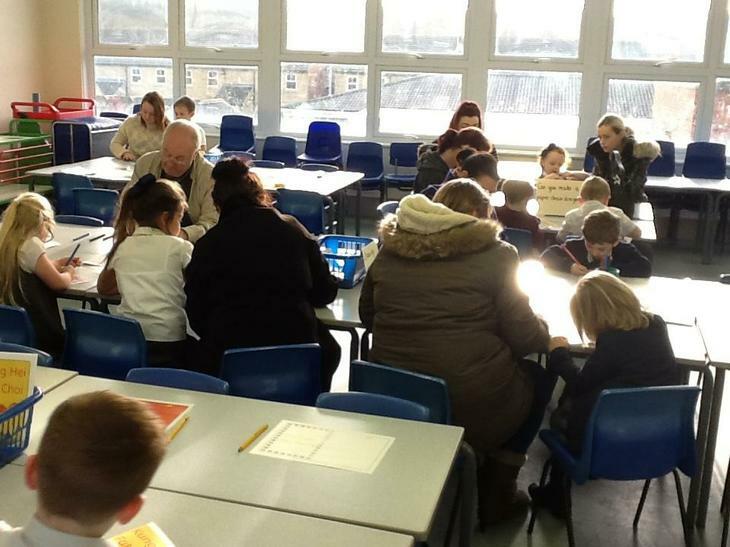 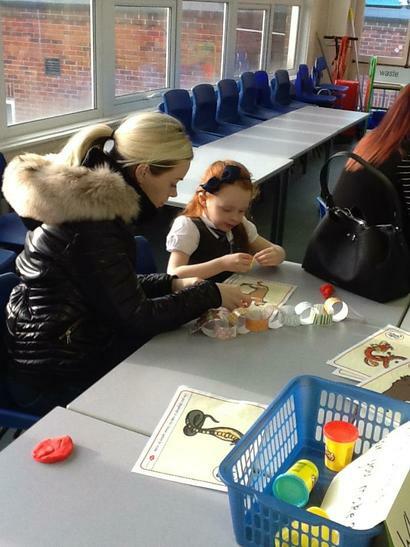 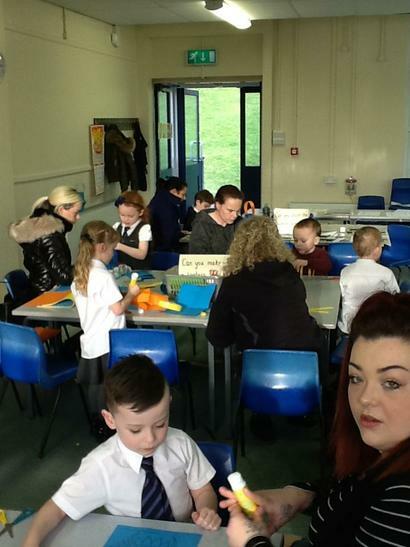 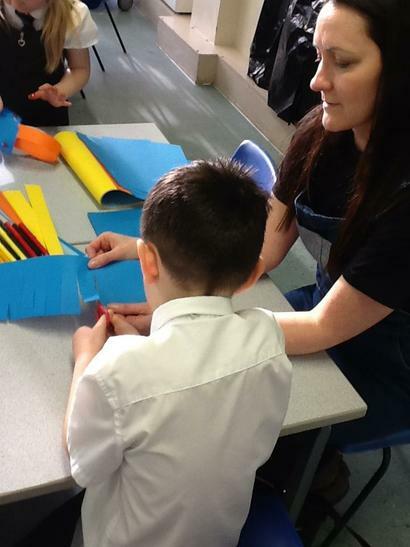 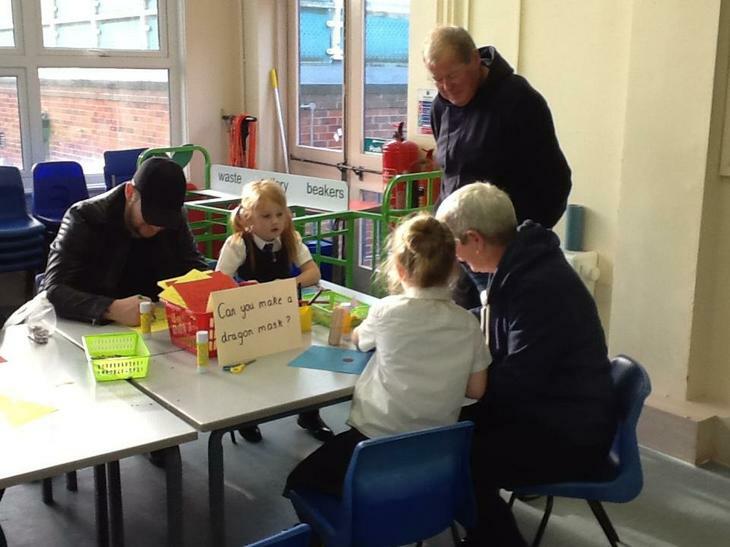 The children in Class 2 had a lovely afternoon celebrating 'Chinese New Year' with their families. 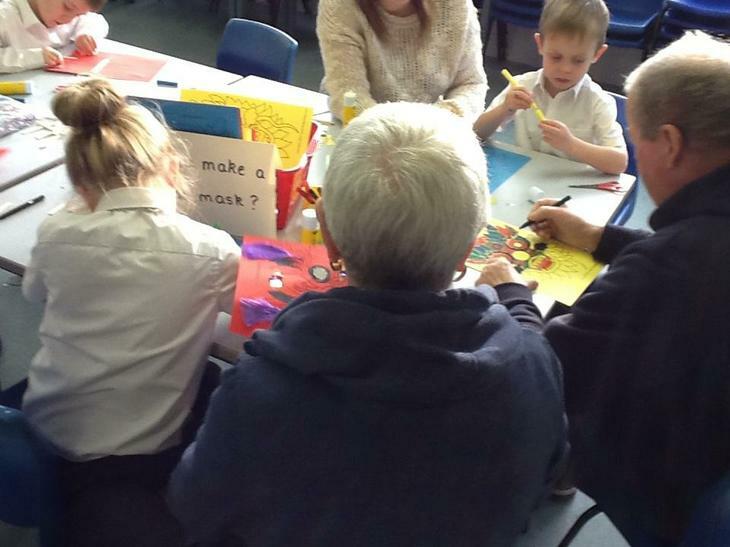 Thank you to everyone that came and made it such a fantastic afternoon! 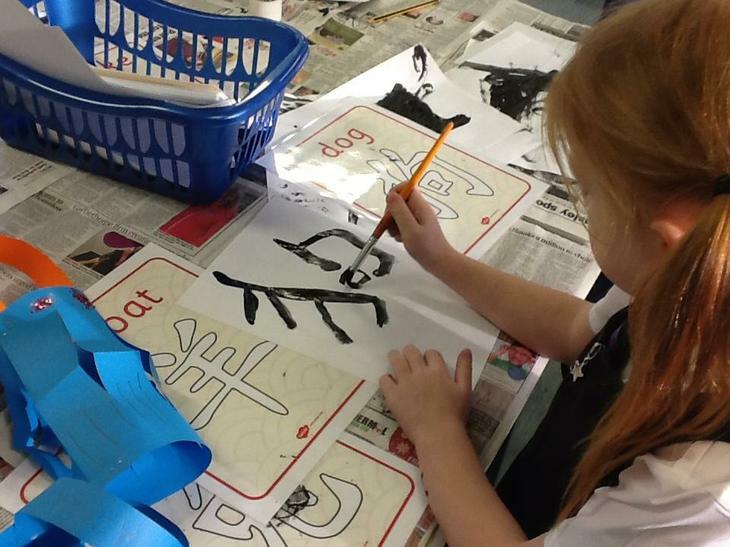 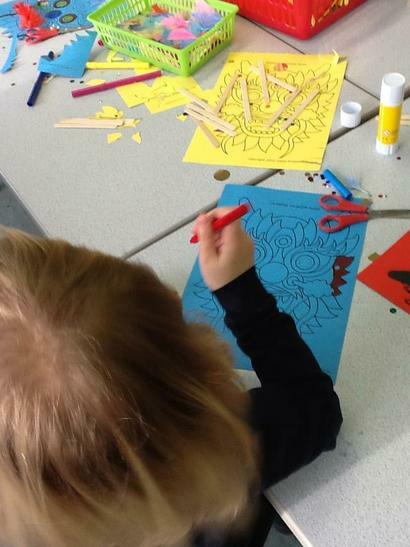 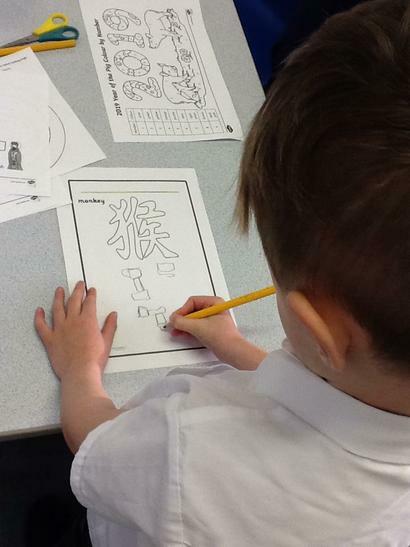 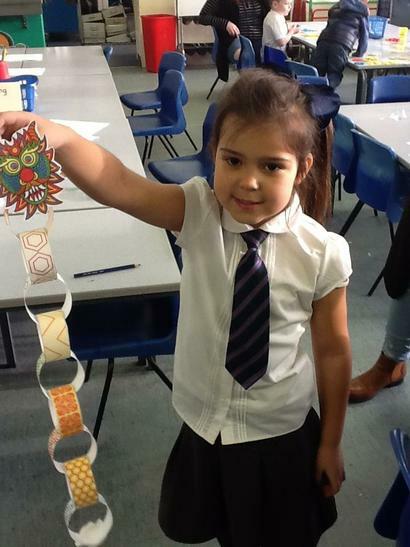 This week this children in Class 2 are learning all about Chinese New Year. 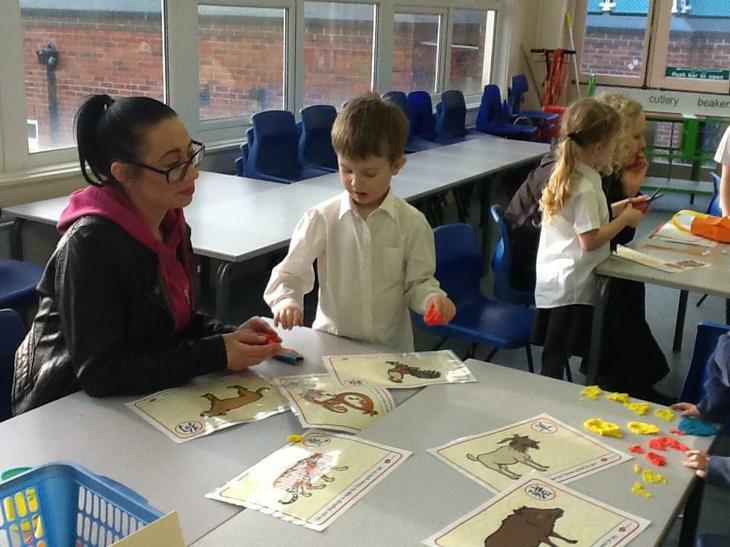 To start the week off the children have listened to the story about how the Chinese Zodiac came to be. 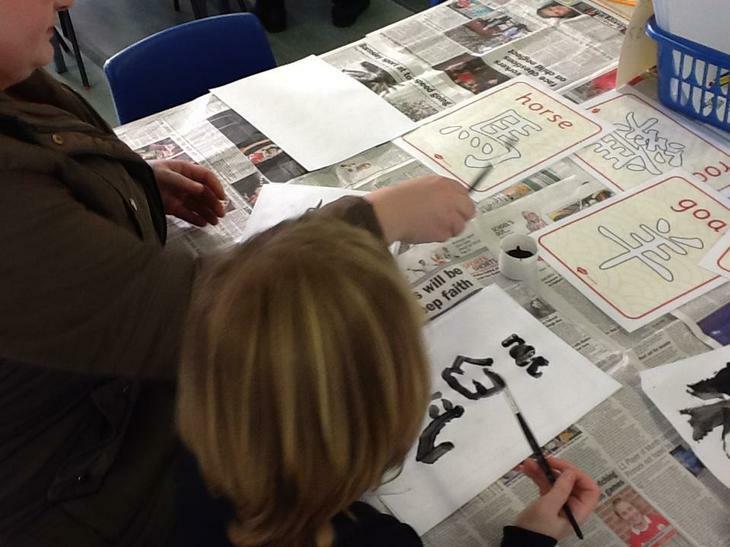 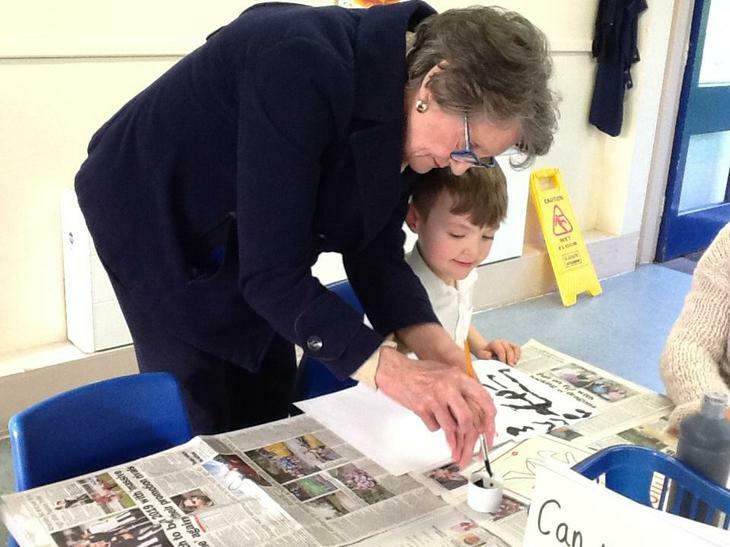 They have also learned all about traditions that people do to celebrate Chinese New Year. 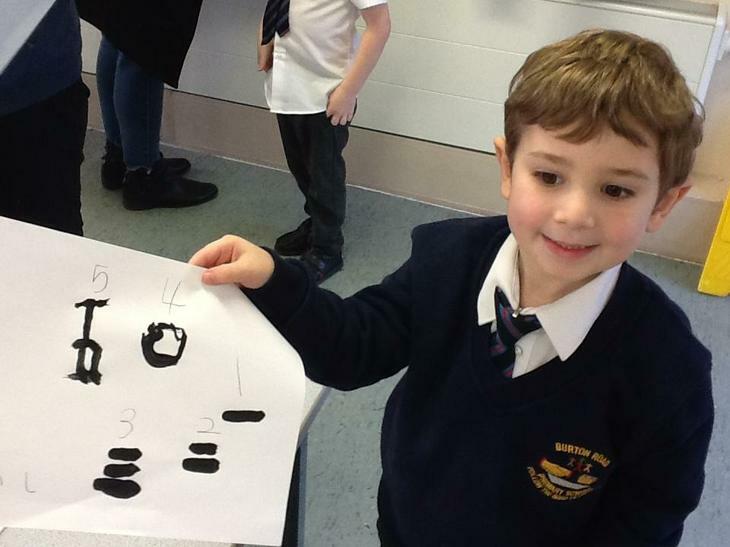 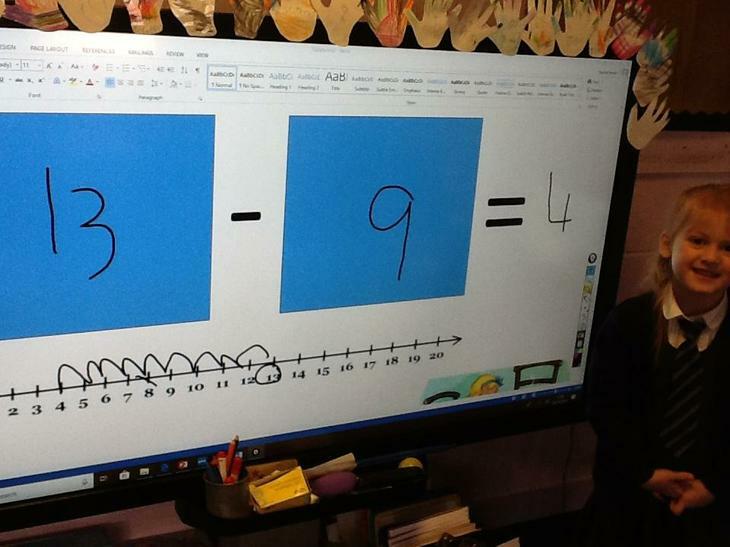 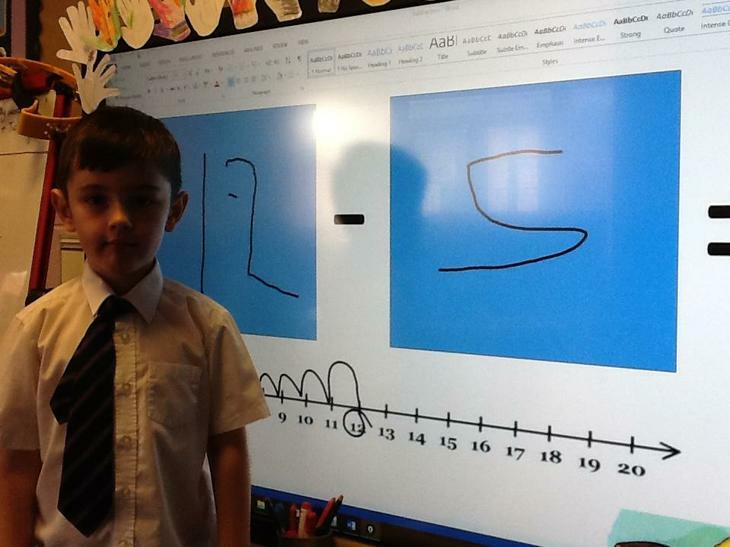 Over the last few weeks the children have been learning how to subtract numbers from a given amount. 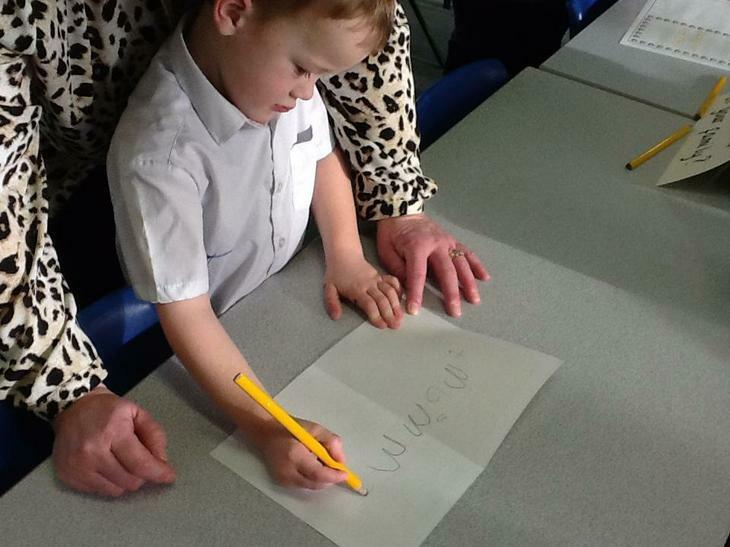 We have learned the symbol for subtraction and also other words that mean the same including take away and minus. 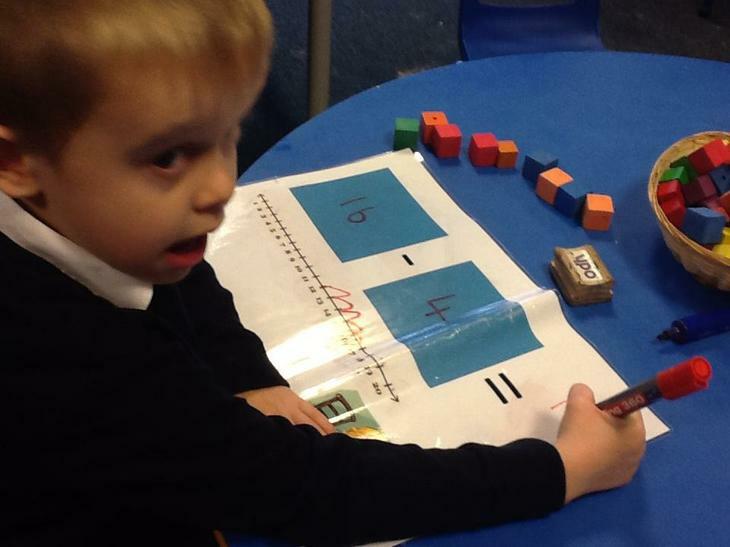 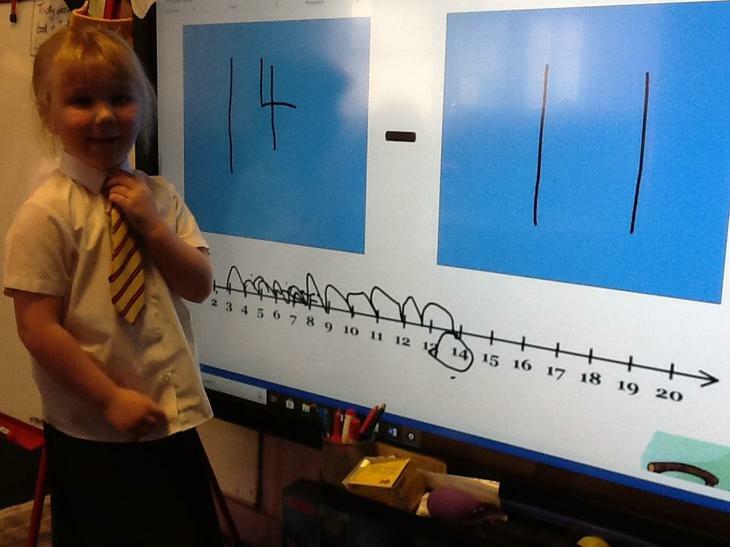 Some children have been using cubes and other children have started using a number line to help them work out their calculations. 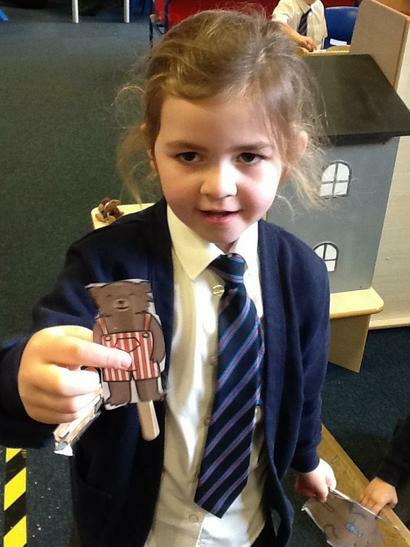 Over the next few weeks the children in Class 2 are learning the story Goldilocks ready for our visit to the pantomime in a couple of weeks. 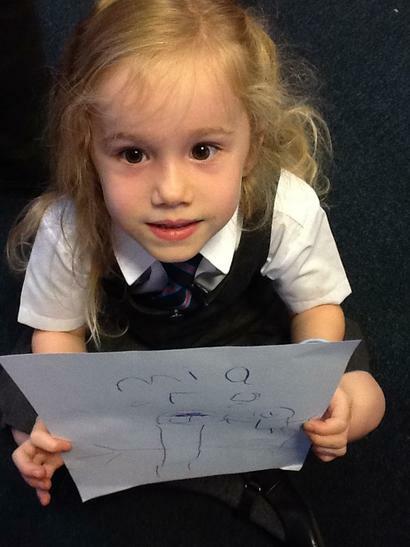 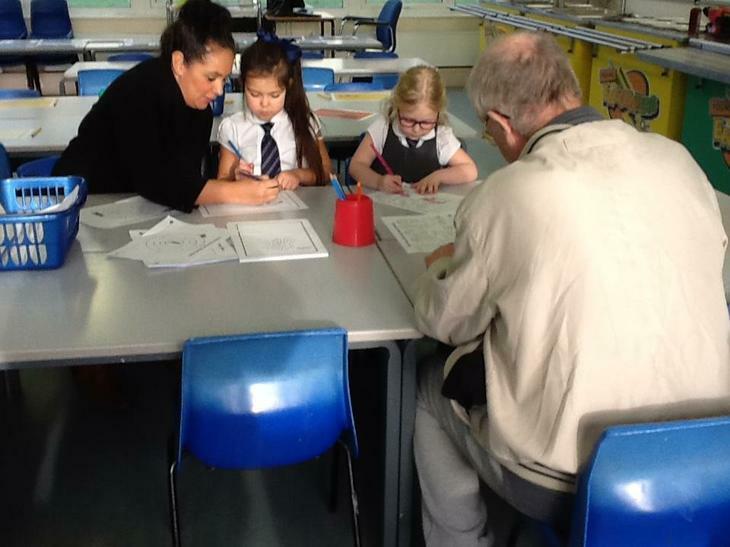 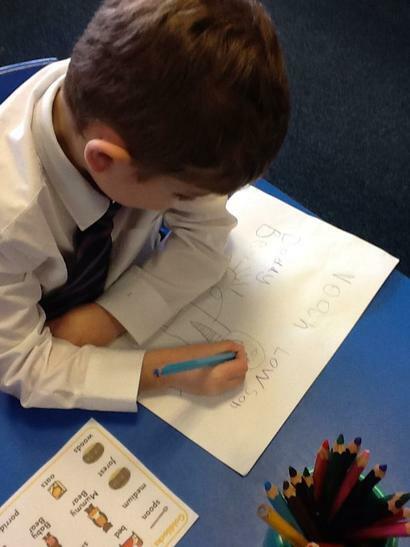 In ‘Talk for Writing’ the children have started to learn the story and think of actions for the different parts to help them remember it. 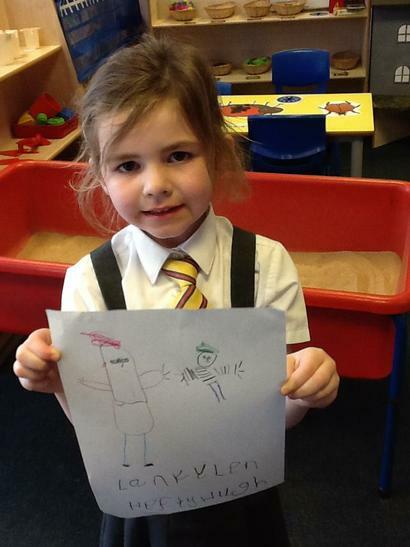 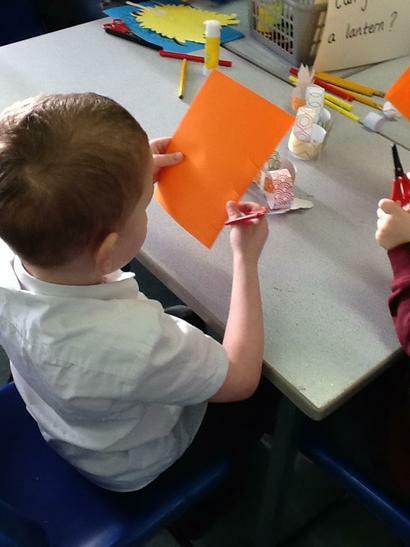 During continuous provision time the children have been drawing pictures of the three bears and Goldilocks and have also been making puppets that they can use to retell the story in our small world area. 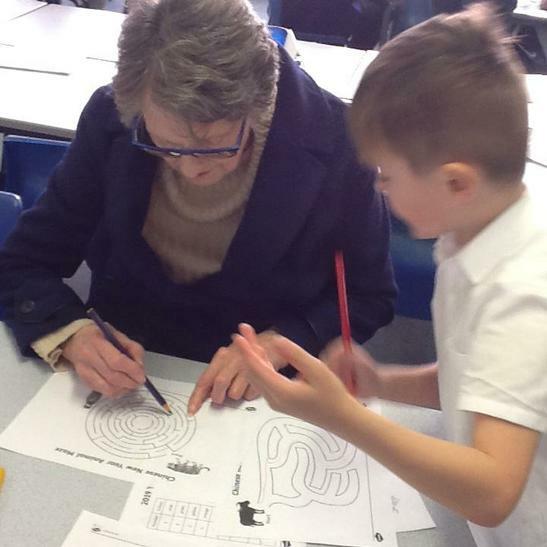 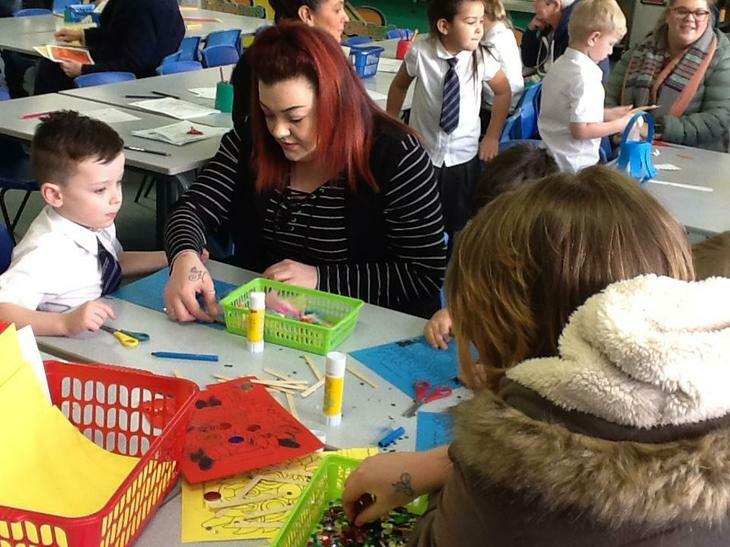 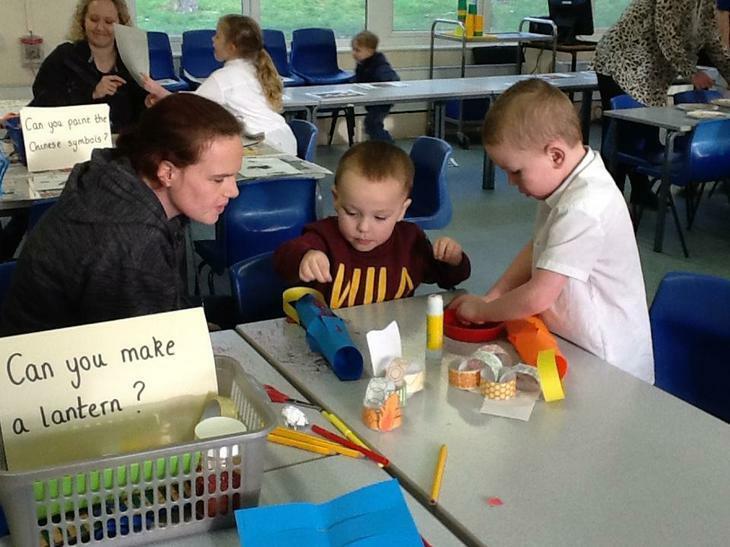 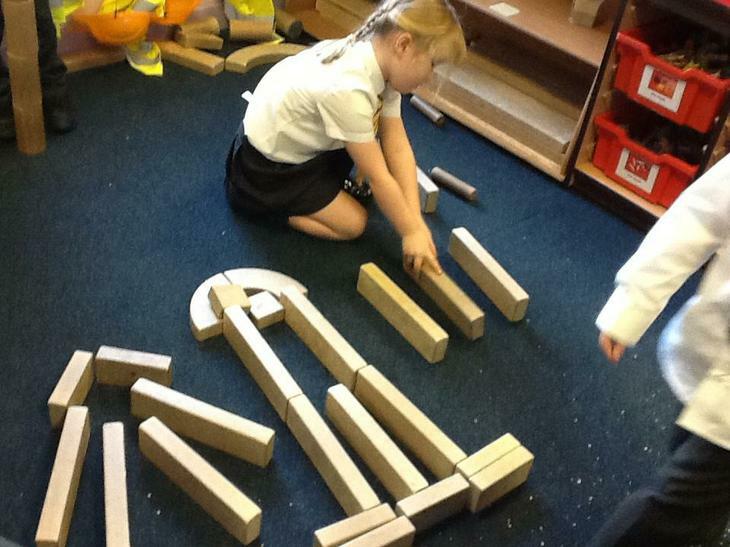 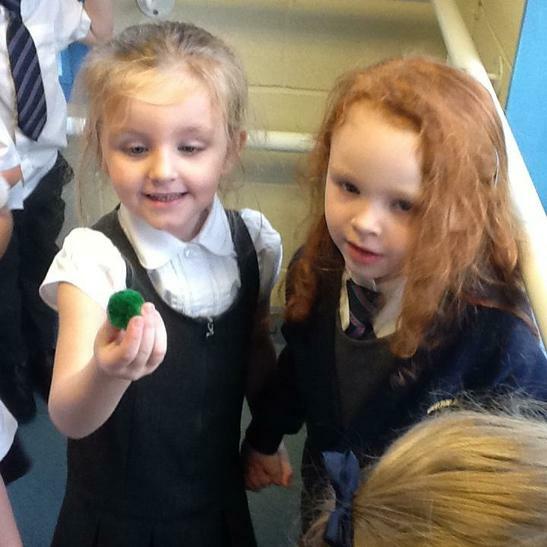 Here are some images of the children accessing the activities in our provision this week. 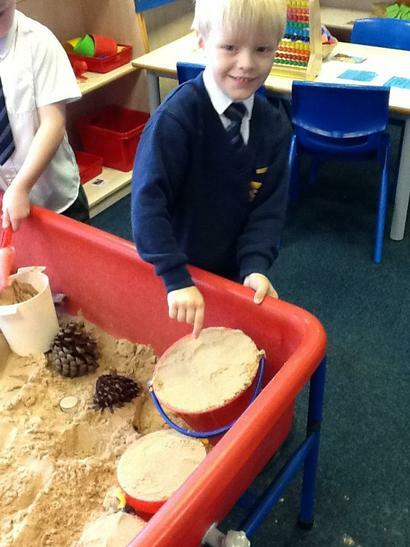 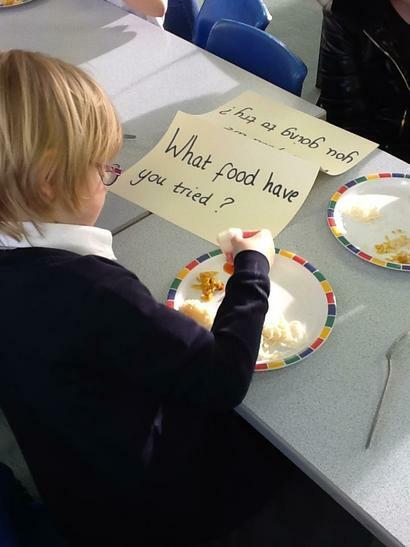 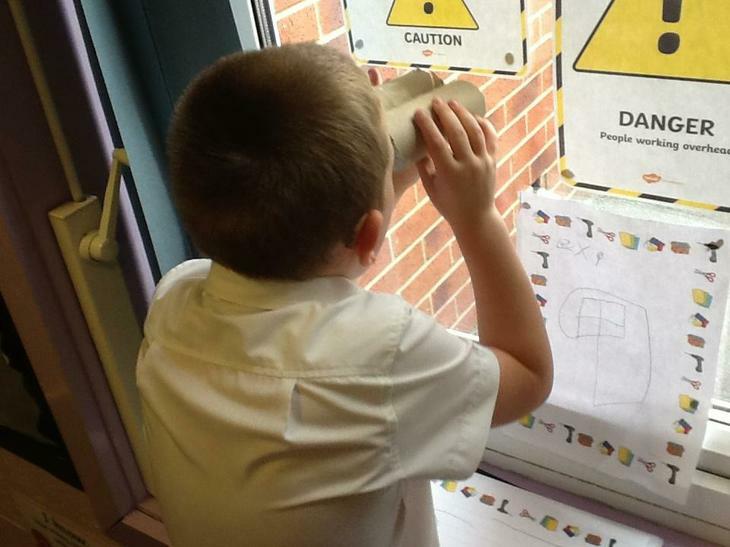 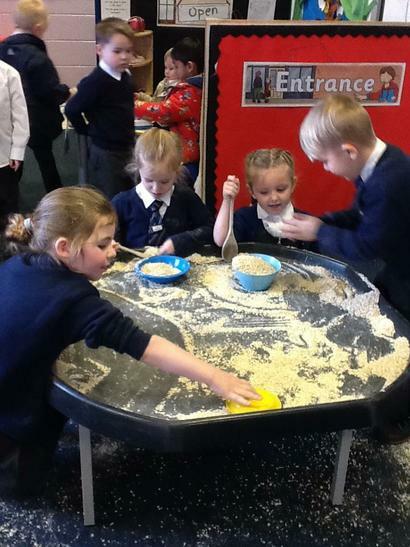 This week the children in Class 2 have been exploring their senses. 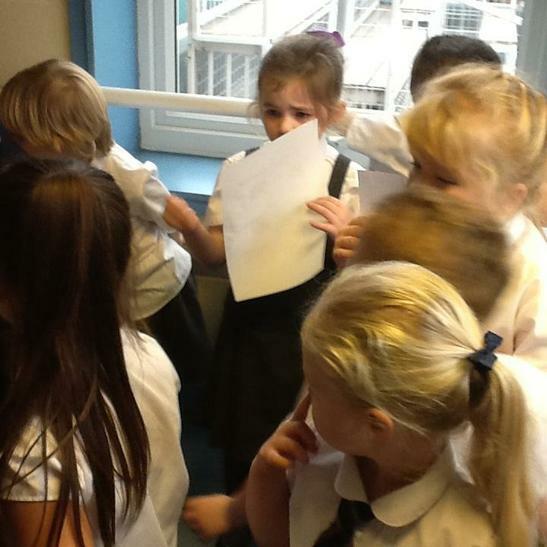 They have learned all about their five senses and explored them further through various tests. 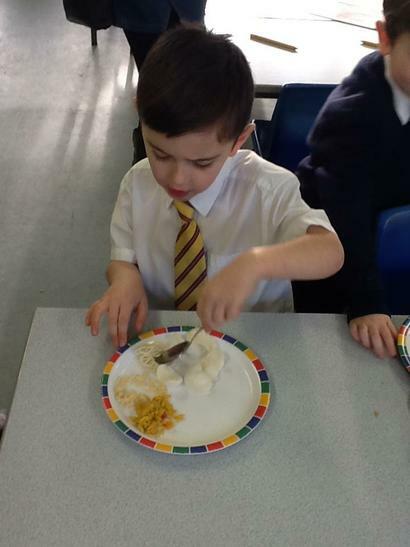 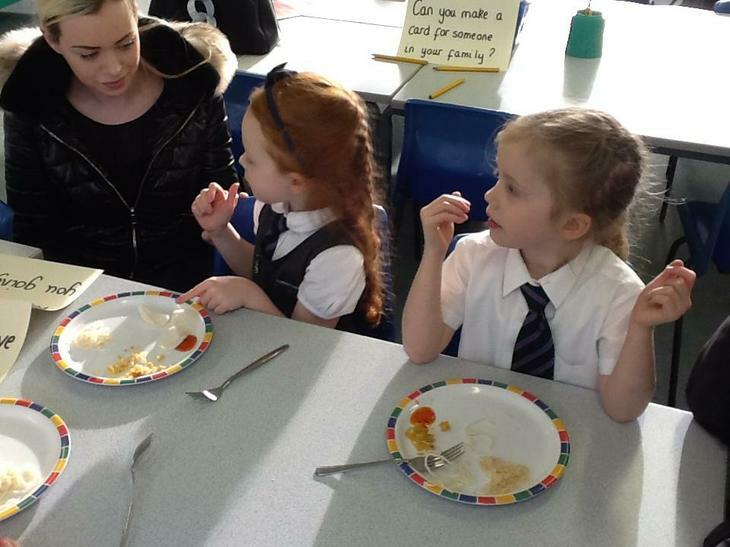 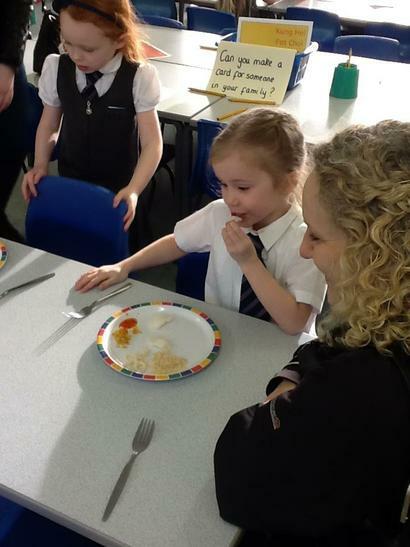 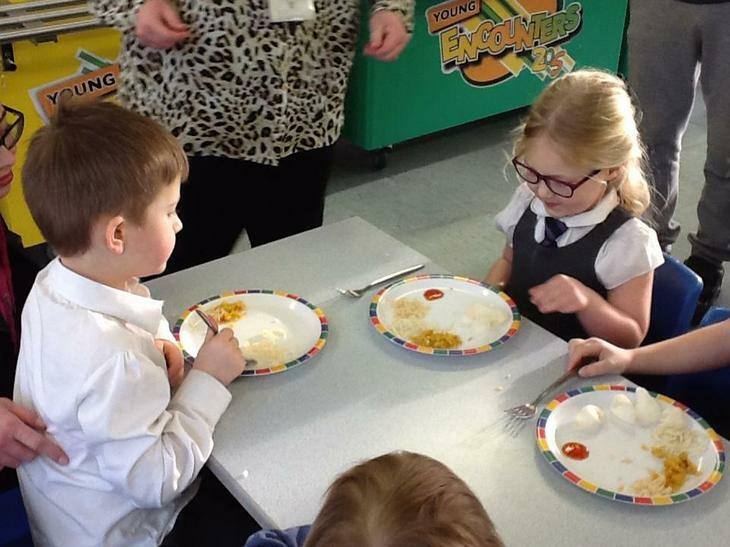 Here are some images of the children exploring their sense of smell and taste.